Ready for a sublime and simple tomato-season breakfast? Head to Brotbakery in Fairfax, which is open Friday afternoons, now through Thanksgiving. Grab a loaf of Hieke Meyer's masterful sourdough (also available at Burlington's City Market/Onion River Co-op on Wednesdays, and at Hudak Farmstore in Swanton on Fridays). 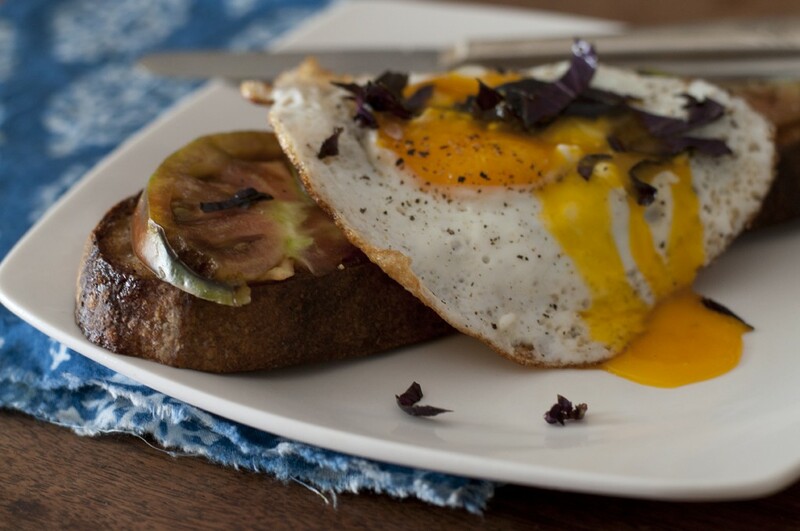 Lop off a slice of bread; fry it in hot olive oil along with a crispy egg, sunny side up. Cut a fresh-fresh, juicy tomato into hearty slivers; layer these over the bread and sprinkle with salt. Toss the egg on top; Scatter fresh basil if you've got it. Doesn't get much better than that, folks.